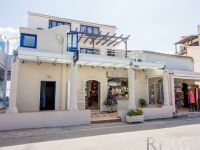 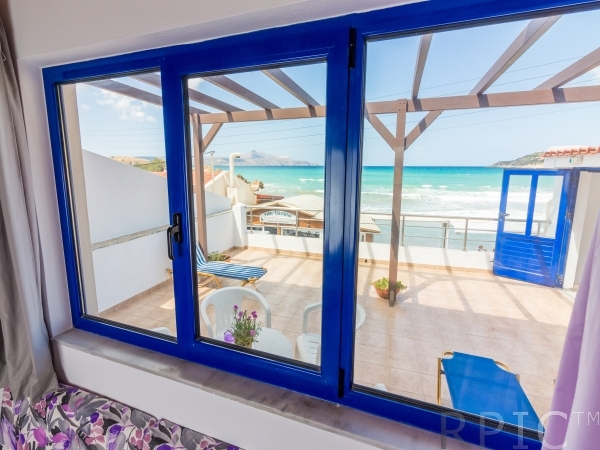 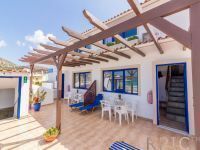 A pair of modern maisonette-style apartments offers excellent accommodation and are only a stone’s throw from Almirida’s pretty western beach. 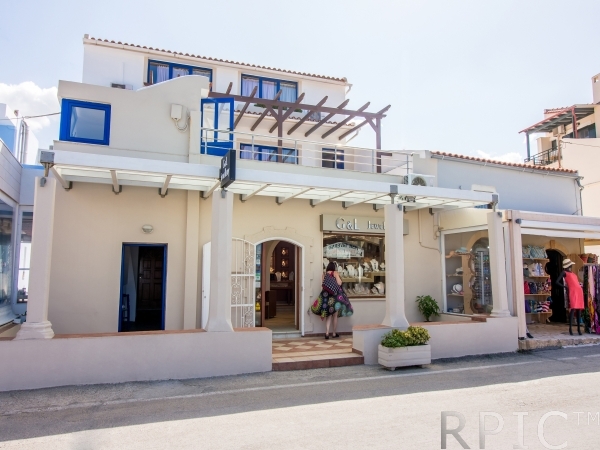 They are build above a jewellery shop across the small road from Almirida’s seafront tavernas. Published rates are for 2 guests, for 3rd and 4th guest there is extra charge 10 euro per person per day. To the front there is a large common terrace with sunloungers and sea views. 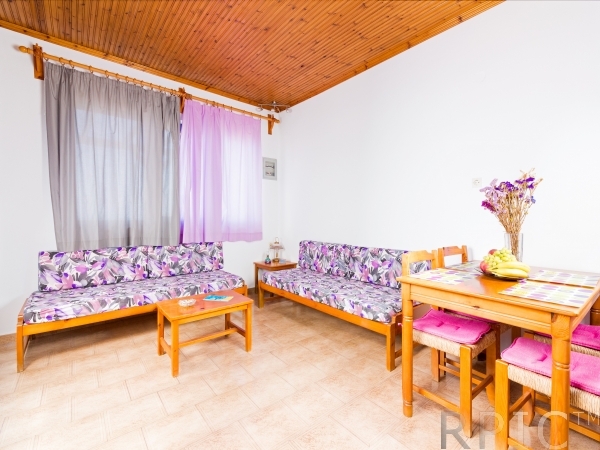 Entrance is into a ground floor living room, containing a corner kitchenette and two sofa beds. 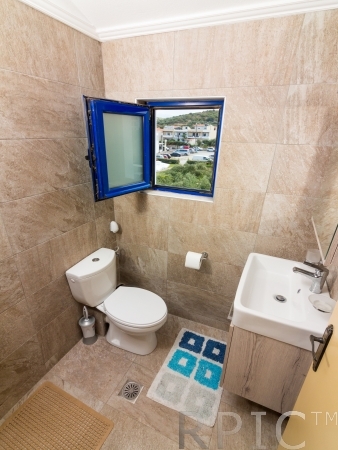 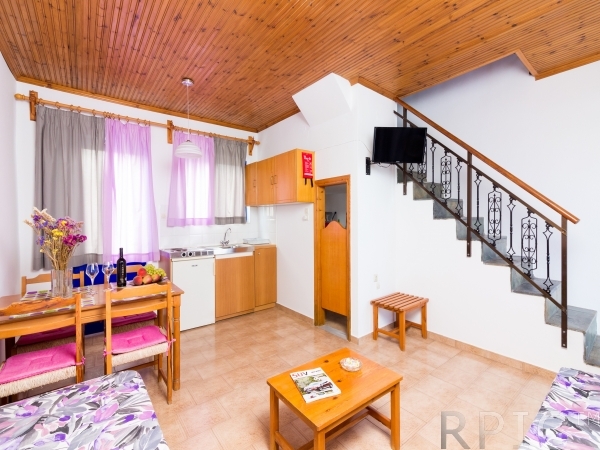 Stone steps lead up to the titled shower room with WC, and continue on up to the first floor twin bedroom, which has a cozy “chalet-style” flavour and excellent sea views. 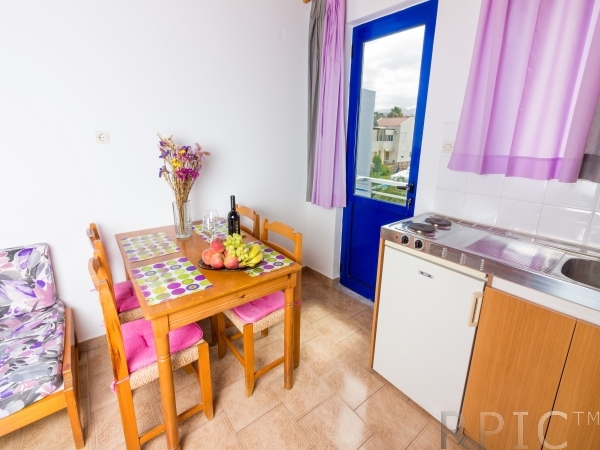 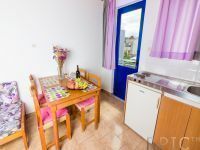 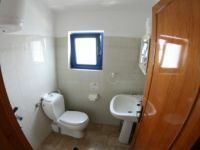 The apartment is 50 sq.m and can accommodate up to 4 person. 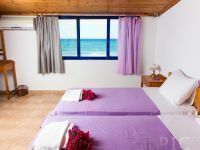 The rates are per day for 2 person stay. 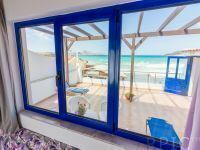 Almyrida has two sandy beaches, fully organised with umbrellas, loungers and a lifeguard, while there is also a third beach with pebbles just before the village. 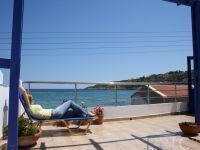 Indeed, both the beach and sea of Almyrida are extremely clean. 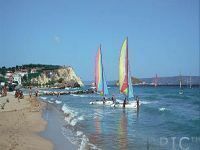 The sea is quite shallow, making it ideal for families with small children. 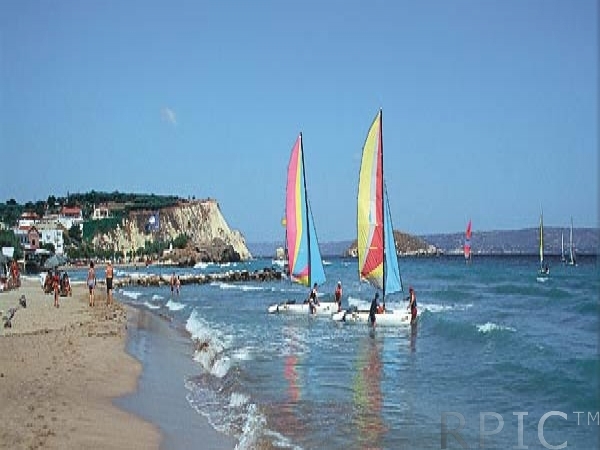 Both beaches at Almyrida are very exposed to the winds, and on windy days you may see large waves.